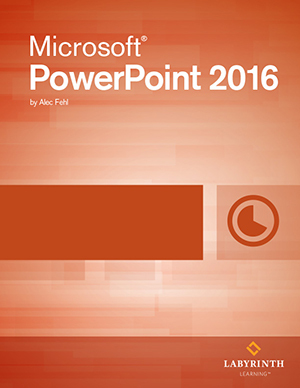 Microsoft PowerPoint 2016 Essentials: This in-depth textbook will have students engaged with hands on learning as they are guided through the full scope of creating, designing, editing and delivering a PowerPoint Presentation. DELIVERY OPTION: This option is for the digital ebook and eLab assessment. Does not include Printed Textbook. NEW FOR 2016: Lab Learning ebooks will never expire! Discover more about this MS Office 2016 line. Click Here to Learn More.